Many have expressed concern regarding the potential elimination of the surface parking lot at 13th and Shunk — the property officially referred to as 2612 S. 13th Street. LoMo’s Zoning & Planning Committee understands that parking is an important issue in our neighborhood. For this reason, we would like to share some important details regarding this zoning case, which will be discussed in further detail during a public meeting on December 5, 6pm, at Methodist Hospital (Morgan Conference Room, basement). On 09/24/99, the lot was acquired by Citizen’s Alliance (CA) and converted to a surface parking lot with 119 paid monthly spaces for automobiles. 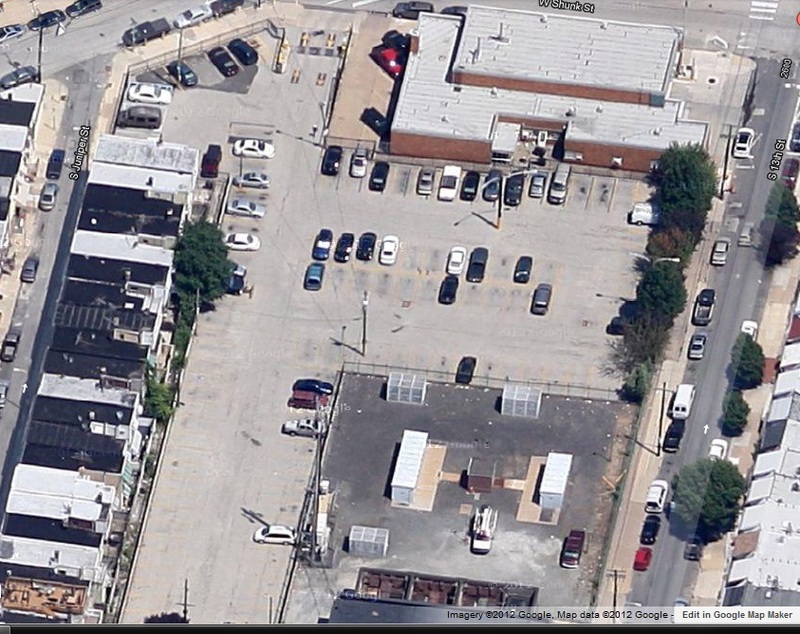 The lot is now owned by the Passyunk Avenue Redevelopment Corporation (PARC). According to PARC’s website, their primary focus is Broad to 9th and Federal-Snyder. Therefore, the lot is outside their primary area of focus and they are interested in selling the lot. Most surface parking lots are generally designated as temporary (less than 10 years) by the City, as their zoning classification usually maintains a commercial or residential use. The lot is zoned CMX-2 and the owner has a right to develop as long as it is done within the parameters of the current zoning designation, which in this case would permit the construction of a building within 38ft. in height. According to the Philadelphia Planning Commission, this can be done without a variance and without consulting with the local civic association or the Zoning Board of Adjustments. Alternatively, a new owner could temporarily maintain the lot as the current (albeit temporary) use. However, we have been told that taxes, insurance and applicable fees could make this option cost prohibitive. The third possibility is that the prospective owner could seek a variance to the zoning code. The primary purpose of our meeting on December 5 is to discuss this proposed variance. As per the zoning code, when an applicant seeks a variance, they must appear before the Registered Community Organization (RCO) before they seek official permission from the Zoning Board of Adjustments (ZBA). The prospective owner/applicant, Joesph J. Ruggiero, may seek a height variance before the ZBA since he proposes a 5-7 story, 74-84 unit market-rate apartment building. The variance would almost double the permitted height that is currently zoned for this property. In order to obtain a variance, the owner must prove economic detriment if the variance is denied and the financial burden created by any work necessary to bring the building into strict compliance with the zoning requirements and the characteristics of the surrounding neighborhood. In other terms, the owner would incur a hardship if he had to proceed within the parameters of CMX-2. No decision has been made regarding this case and no deals have been made. LoMo’s Zoning & Planning Committee considers many issues before supporting a project, including the degree of community support and/or opposition. It is also important to note that regardless of LoMo’s recommendation, the ZBA has the final say on whether a variance is granted. We look forward to seeing you at our Community Zoning Meeting on December 5, 6pm, at Methodist Hospital (Morgan Conference Room, basement).